This page has several free Florida beach Screensaver, Wallpaper, or printable Florida Vacation beaches Pictures selected from the many on this Memorable-Beach-Vacations.com Web Site. You are welcome to download and use these copyrighted pictures as long as the domain name text remains visibly displayed and unaltered on the Image. Are You a Photographer and would like to check out selling your Images Online at a popular Image Downloads Sale Site? - See Info at this link - Photographers - Sell your Photos Online Info & Tips - you set your own image prices. The pictures are set up to easily download into your Windows Desktop or Screensaver by the following steps. The Picture download Instructions are at the top of the Screensaver I page. You can refer to the Instructions for pictures on this page in the new window this link opens. Note: The file name on the pictures on this page is a "Mini-Picture-Descriiption" so you should not have to change the file name in the bottom box to be able to identify the picture. 2nd Note: Pictures used on this site other than the ones on this page are very small dimensions and also small file sizes so they will load fast on the Web Pages. They will appear very "grainey" and blurred if tried to make larger and used as Wallpaper. All approximately 5 x 7 Pictures are about 50K files and should download almost instantaneously - IF page and images have finished loading in your browser. Please send me a note at our Gene Seecann Sites Comments, Suggestions, & Favorites Page if you are interested in purchasing a higher resolution image version of any of the pictures below or on this site without the Title and Site Name. These Florida Beach pictures are free to download and print or use as Wallpaper or Screensavers as long as the Memorable-Beach-Vacations.com Domain Name text remains visibly displayed unaltered and readable on the Image. Resale of these images or pictures in any form is a violation of our copyright. -- or just hang out on the beach! Photo taken from our Timeshare Condo at Ocean Landings Resort. - seems like the supply of sand crabs never runs out - fun to watch the sand crabs "scurrying" back to their hole when you walk on the beach. 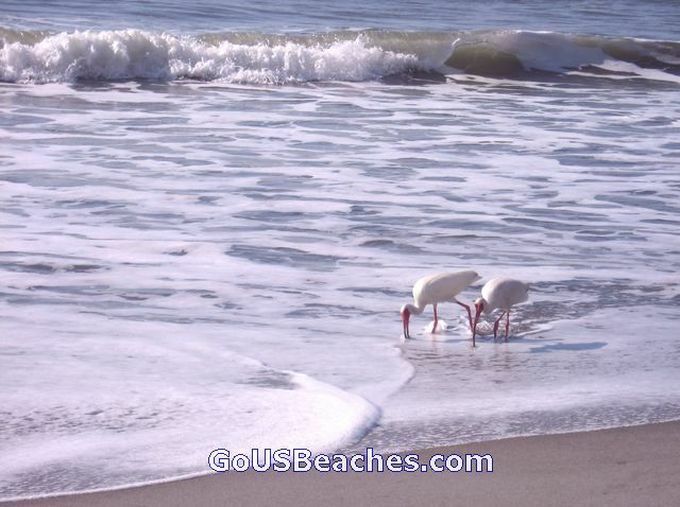 Birds sometimes let you get close before they walk away on down the beach or fly to a new search spot. 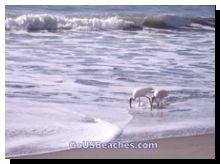 I will try for a video clip of this on next FL trip - sometimes get lucky and can zoom in on some birds on beach on our interactive Cocoa Beach Web Cams Page. 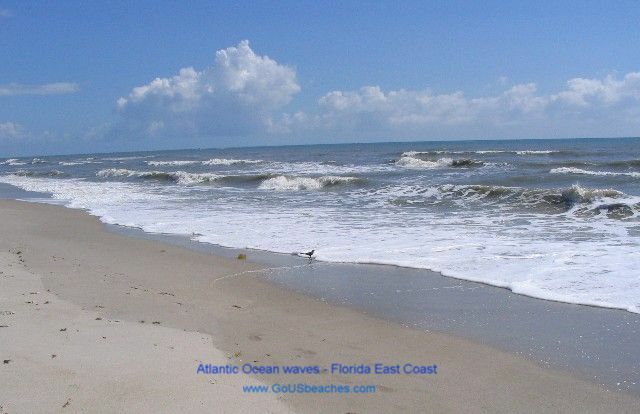 More on Cocoa Beach + Tips at our Florida Cocoa Beach Points of Interest & Attractions Page - Hungry for a seafood lunch at a great area oceanfront Restaurant? Check my Wife and My Waterfront Cocoa Beach Restaurant "Top Picks" with pictures of the views. Ocean Surf was active and were lot of waves coming in on beach on this June trip - Always a cool breeze off of the ocean. Another great addition to the Beach Sunrise & Sunset Pictures Album. Want to see more Beach Sunsets? 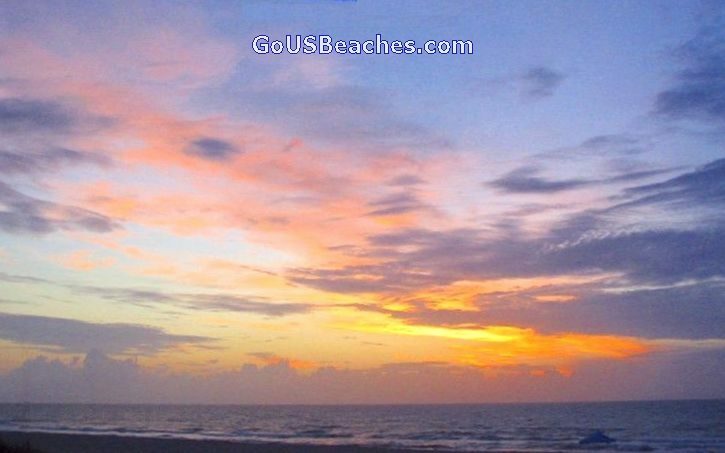 - Check out our our Beach Sunset Pictures Page + some great beach sunsets on High Resolution Photo previews page below. See below for Free Photo download & use instructions. All pictures on this page are Copyrighted, but may be used with our Domain Name text on the images as they are on this page. These pictures are free to download and print or use these Florida vacation beaches pictures as Wallpaper or Screensavers as long as the Memorable-Beach-Vacations.com Domain Name Watermark text remains visibly displayed unaltered and readable on the Image. Resale of these images or pictures in any form is a violation of our copyright. For Non-watermarked versions, see below. Lighthouses + Beach Sunsets & Sunrises Album - Some of our High Resolution Photos available as Prints. - 5 Basic Tips we have learned on How to Take Good Photos on Vacations + Travel & Vacation Photography Tips. 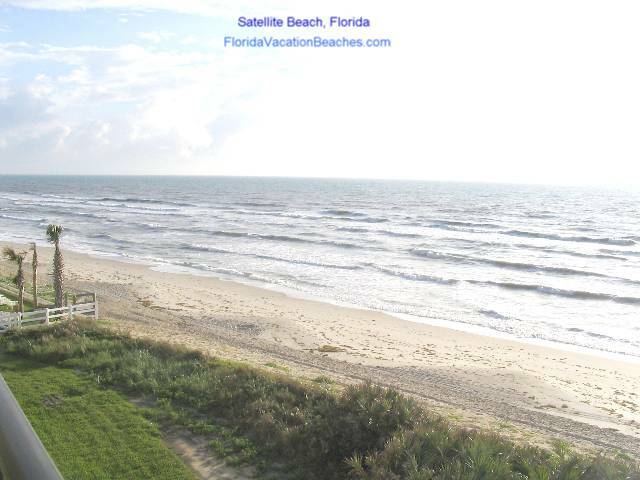 Top Pick Live Cocoa Beach Web Cams - even some Live Interactive "controllable" Cocoa Beach Webcams with continuous video images. - a taste of being there! Florida St. Augustine Attractions Day Trip - to "Must Sees," Tips, and Pictures . Attraction Discounts - Many discount travels savings available for those of all ages on family budgets who search them out -- "over 50ers" and the Grey Haired "Seasoned Citizen" set often can get some special discounts we talk about here! (It never hurts to Ask!) We have some discount travels ideas for "Under 50ers" too. Can also check out the interesting "Case Studies"
- see a whole page of Free Trial Download e-books on Building Web Sites that can Sell a variety of Products or Services. Send us Your Beach Vacation Top Picks, Pictures, or Comments! 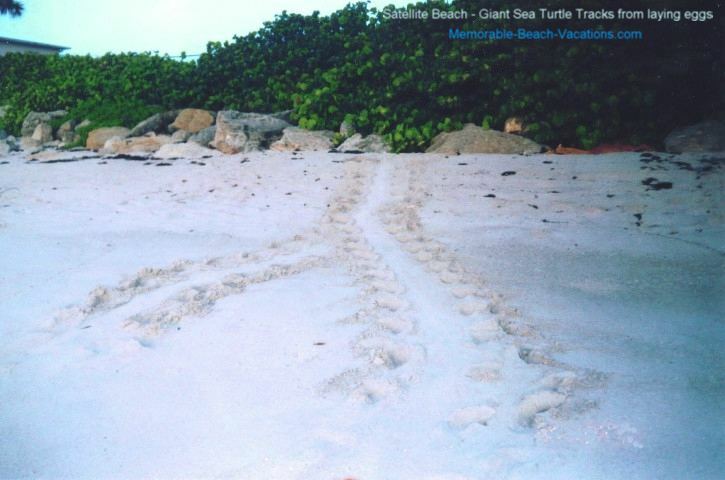 Favorite Florida beaches area attractions and Eastern Florida Beaches places of interest you found interesting or memorable. 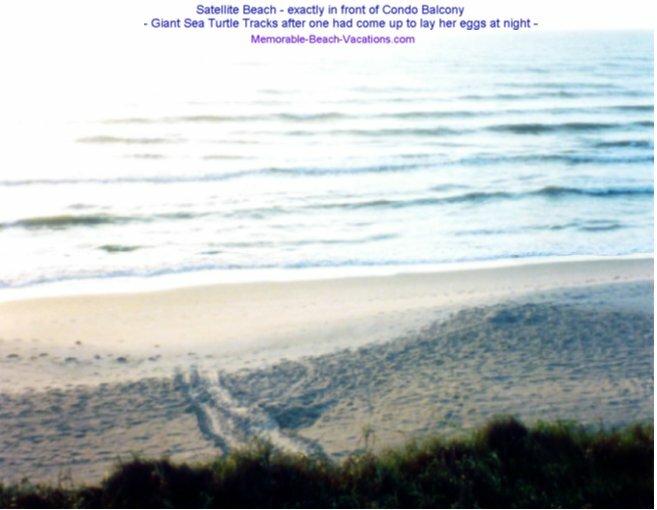 Comments on great Florida vacation Beaches area Timeshare Resort weeks (preferrably beach front) you may own, have exchanged to, or rented. 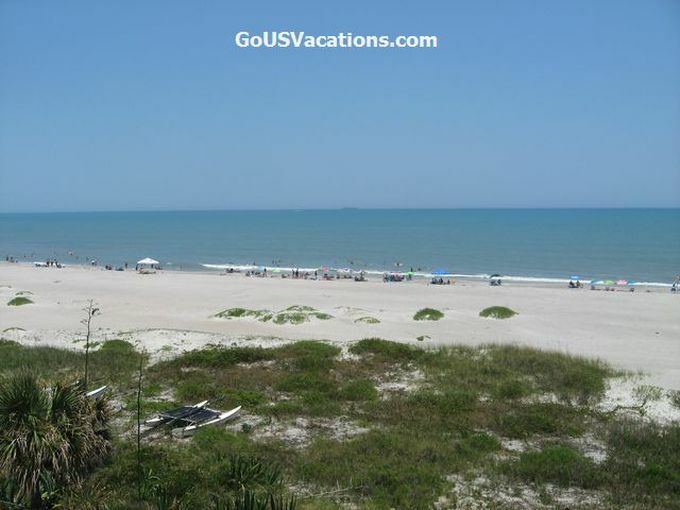 Local Florida Vacation Beaches Points of interest, Attractions, and Florida beach front dining you have particularly enjoyed would also be of interest to all our "viewers." Send your Favorites to us on our Comments, Suggestions, & Favorites Page - Thanks!